This post should prove helpful to any photographer trying to expand his or her lighting gear on a shoestring budget. I don't own either kit above, but I have enough experience testing low end and high end gear to randomly talk about the two kits above in general terms. Yes, I have tested both styles of lighting and have formed my own opinion because of that testing. 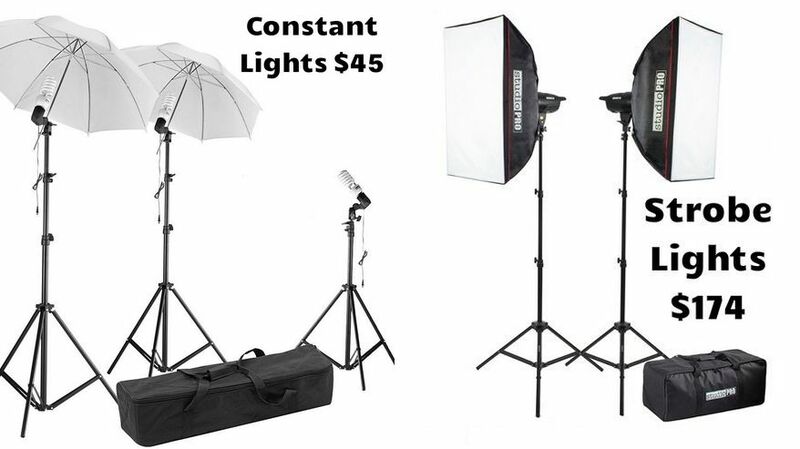 The constant lighting kit can currently be found by clicking here and the strobe lighting kit which also has a 5 minute video on the listing can currently be found by clicking here. Here's a post that I wrote recently about shoestring budget strobe lighting, but it doesn't have the kit already built with a case, stands and softboxes like the kit above for $174. If you really want to stick with constant lighting, this kit on Amazon is one that I am familiar with and actually wrote a review on it back in November 2012. It's only $139 and I believe it was $169 back in 2012. Go Figure! 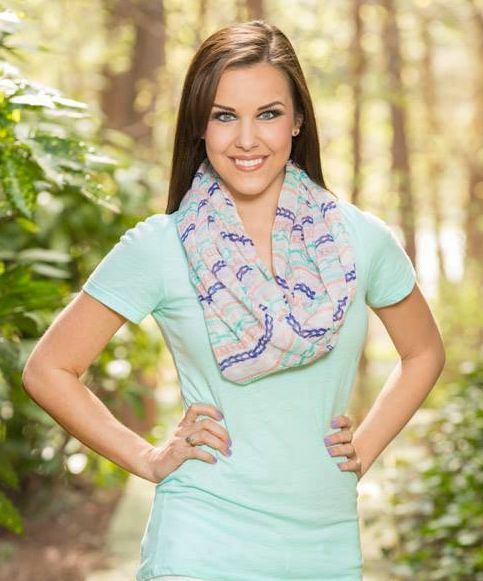 I know that a new photographer on a shoestring budget cannot purchase high end lighting without going into debt. I get that. I also respect any photographer that saves up for gear rather than going into debt. With all that out of the way, let's talk about the kits pictured above. Yes, constant lighting can be used for portraits, but I have never come across a constant lighting kit for under $100 that will provide the same kind of lighting as strobe lighting kit will for just a little more money. The light output is usually so low on cheap constant lighting kits that the f/stop has to be opened up more and the ISO often has to be jacked up more. In comparison, the strobe kit above would likely allow the photographer to set the ISO to 200 and the f/stop to f/11 on full power if needed. But could also be adjusted for shallow depth of field. With constant lighting that would provide f/11 on 200 ISO, it would have to be super bright. My experience with constant lighting, even at f/5.6 while keeping the ISO at an acceptable level, is that it would be super bright lighting. I'm a fan of constant lighting for VIDEO but not for still photography portraits unless you get into the world of high end constant lighting like Peter Hurley uses but he still mixes in strobe lighting. Whether it's a flash on camera or a cheap strobe kit like the one pictured above, new photographers seem to have issues learning how to use strobe lighting and harnessing what it can do for their work. I'll admit that constant lighting has it's place, but at the end of the day, I'm a strobe lighting photographer. I use it on an extremely regular basis. Actually, I don't know if I do any shoots inside or outside that I don't incorporate a speedlite (small flash) and/or strobe lighting in some way like the image of the young lady near the top of this post. I could not get that result in the available light she was standing in and I'd have to have some serious constant light to pull it off. Yes, there are extra expenses with strobe lighting. 1) There needs to be a way to trigger the lights. The low cost way is with a sync cord that is likely included which will trigger one light and the second light is triggered by a slave on the head. The other more expensive way is to buy 4 cheap triggers like these. Since they come in pairs, 4 would be the minimum. One on the camera, one for each light x2 and that would leave one extra. Total cost is around $60 beyond the kit cost. 2) For constant lighting, it could be a bulb or bulbs which is an extra expense, but it's likely less than an extra strobe head. With a two light kit, I'd want t 3rd head minimum as a backup. If you are getting paid to do photography, you should have backups of lots of different things like batteries, SD cards, etc. which you likely already have. Therefore, it only makes sense to have backup bulbs for constant lighting or a backup head for strobe lighting. If you decide to stick with constant lighting for budget reasons, you should go with the $139 kit that I mentioned in the before I dive in section, but you will still be limited compared to strobe lighting. If you go with strobe lighting, it's really hard to get everything you need to get the job done for under $200. It's more realistic on the cheap, shoestring side to budget in the $300 range.